A computer crisis is crippling the United States’ immigration courts, which has created an overwhelming backlog of deportation cases, our U.S. immigration lawyers in Los Angeles have learned. Our Los Angeles immigration attorneys first encountered an error with the Department of Justice, Executive Office for Immigration Review (EOIR)’s Immigration Court on April 12 when we were informed that the Court’s system was down and no files or content could be accessed on the Court’s end. According to an insider at the Department of Homeland Security (DHS)’s Immigration and Customs Enforcement (ICE) revealed that five servers that power a nationwide computer network failed and shut down the entire system. To this day the EOIR system is still down and unable to access any information about current and pending immigration court matters, including deportation cases and removal proceedings. Without access to these electronic records, court matters have slowed or come to a complete stop across the U.S. There is no expected date of resolution of this issue. The Los Angeles Immigration Court is experiencing an extreme delay in the review of active cases at this time. 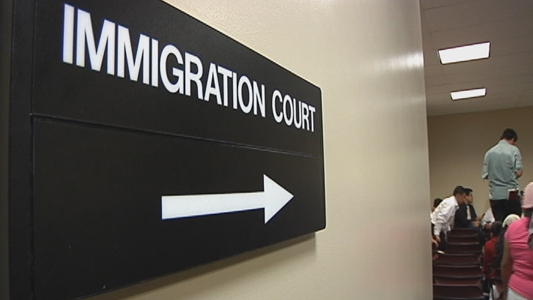 If you need help with your important immigration court matters before the EOIR or the Board of Immigration Appeals, contact our experienced United States immigration lawyer now for a FREE consultation.